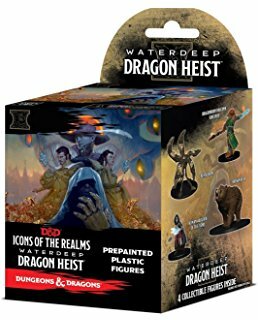 WizKids is excited to announce the upcoming release of the newest addition to its D&D Icons of the Realms line of pre-painted miniatures: Waterdeep Dragon Heist. Based on the newest Dungeons & Dragons story, Waterdeep Dragon Heist is scheduled to release this fall and features exciting and compelling characters, both heroic and villainous, including the Human Warlock of the Fiend, the devilish Pit Fiend, and the founder of the Zhentarim, the mysterious Manshoon. Experience the bustling city of Waterdeep, get to know its thrilling characters, and immerse yourself in the adventure with D&D Icons of the Realms: Waterdeep Dragon Heist, releasing September 2018. 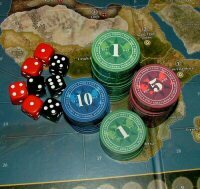 Pre-order at your FLGS or online today!